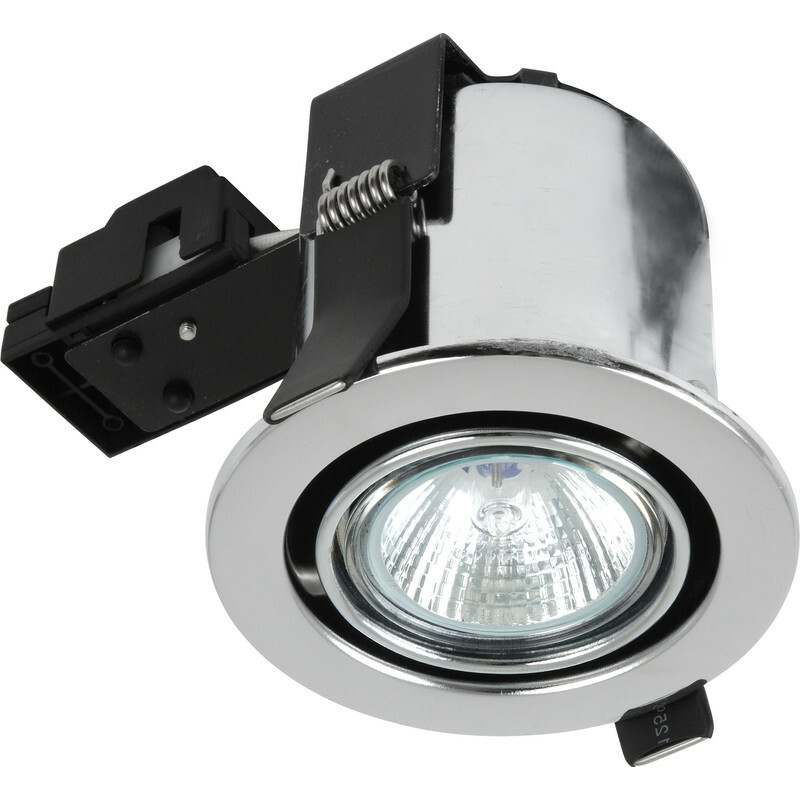 Sylvania Fire Rated Adjustable GU10 Downlight White is rated 3.3 out of 5 by 4. Rated 1 out of 5 by Anonymous from Solid but poor design , so difficult to install Well made, shame the design is so poor they are a real pig to fit (and I am experienced). Outer flange ring is only a couple of mm wider than the clearance hole, so very difficult to get them to align and cover any gap! Hole size not a common one, but if you go smaller, then ream out the two side clamps, chances are you will see some gap. Only single (screw) terminals and clamp is fiddly, not big enough. No loop in & out facility..Alll this is a crying shame for a brand that is supposed to have a reputation to live up to.. sorry but there are much better designs out there. Rated 5 out of 5 by WGC1 from A good product at a very reasonable price Ordered these as they looked good quality on the internet - which indeed they turned out to be. One thing to watch out for is that the spring loaded legs that lock the light into the ceiling are long so if you are close to say a roof truss beam you might not be able to orientate them in they way you wish. Rated 2 out of 5 by Tiny1 from Rubbish The hole that you have to drill to fit this lamp in the ceiling is only a few millimetres smaller in diameter than the chrome flange ring. When you fold back the retaining lugs they will not go through the hole so you have to enlarge hole which is then bigger in two places that the flange is - result poor looking finish, you can see holes at each side!